But Milk is Important online! 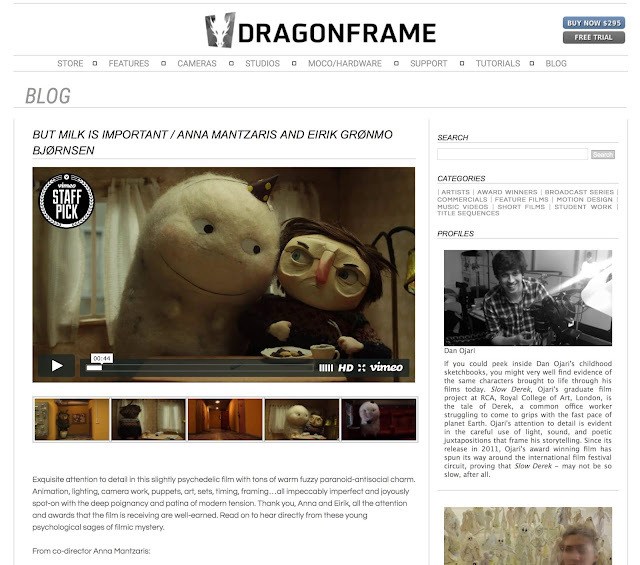 And we got a Staff Pick from Vimeo! But Milk is Important sold to Japan! Dragonframe wrote twice about the film at their blog! 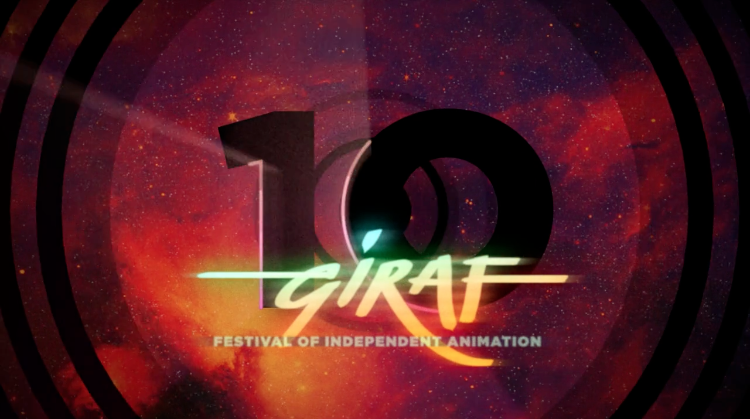 Milk won the special jury prize for 'Best Film from an Emerging Artist' at Giraf - Festival of Independent Animation. Thank you!! Good news! 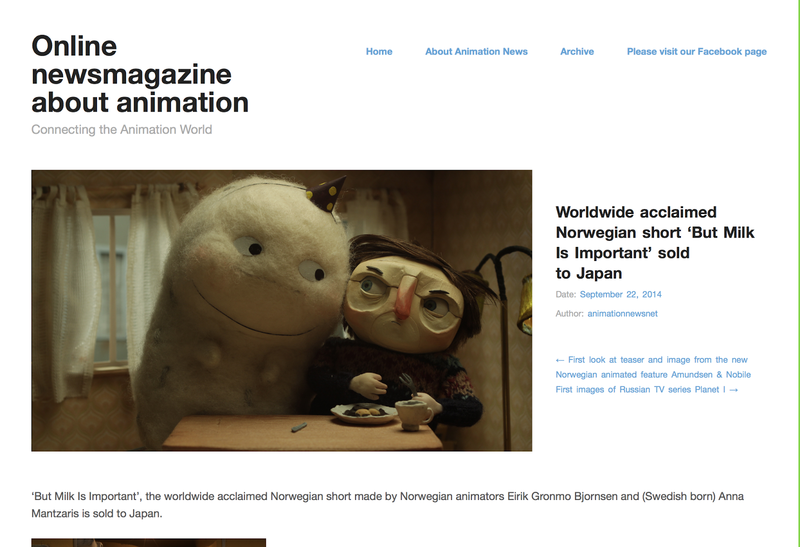 Milk won it's 20th award at London International Animation Festival! The award was the Audience Award in the International Program: Inside the Mind. The London International Animation Festival (LIAF) is UK's largest independent animation festival. 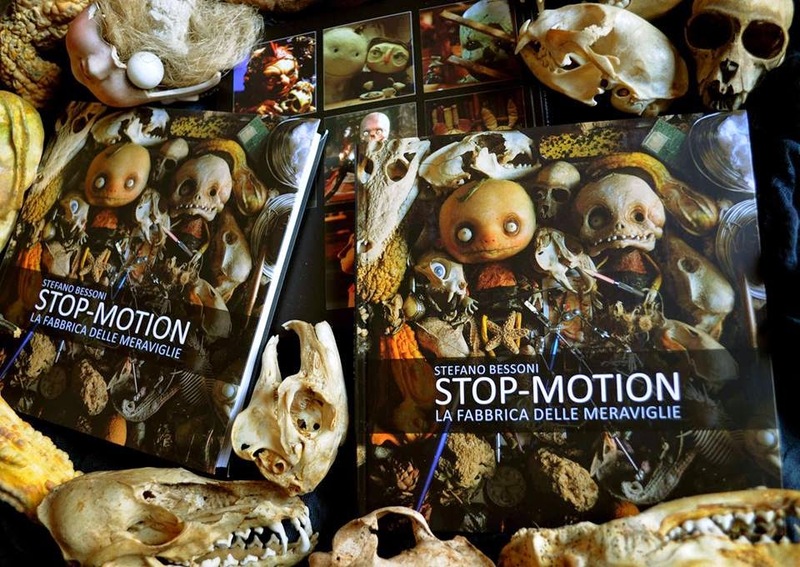 Featured in new Stop Motion Book! 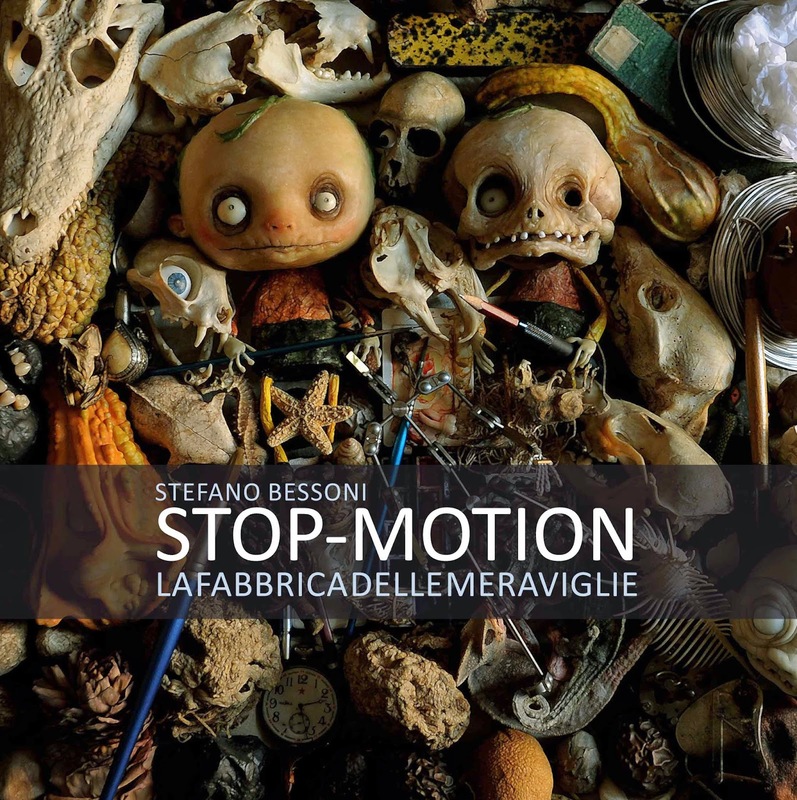 But Milk is Important is featured in a new Italian book about Stop Motion by Stefano Bessoni! It's a book full of illustrations and photos. Starting with "What is Stop Motion? 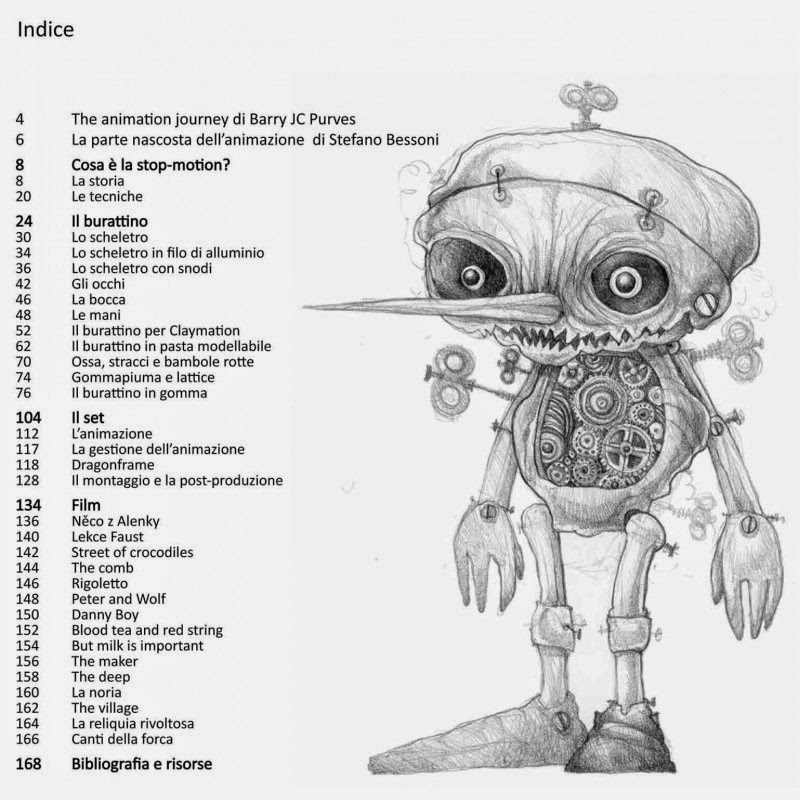 ", analyzes of the history and techniques before moving on to the step by step description accompanied by detailed photographs of the manufacture of a puppet, the set, animation and postproduction. And a presentation of some Stop Motion films that, if you have not already done so, you should definitely see! 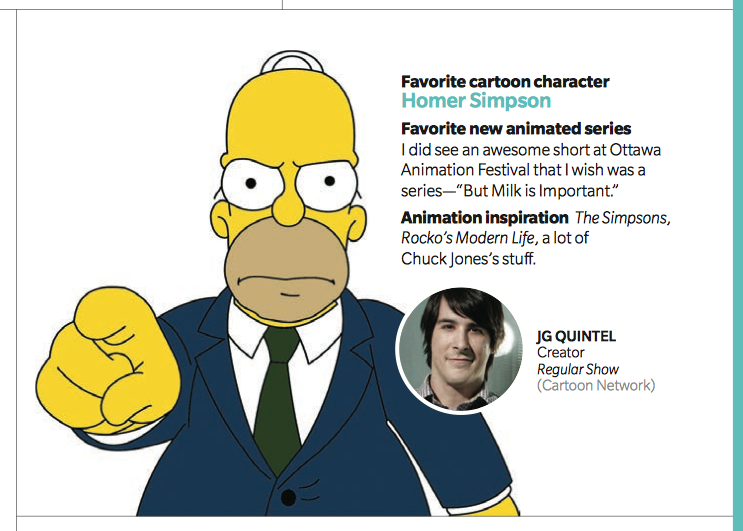 Kidscreen Magazine asked ten of the hottest animators in the biz what makes them tick? In the fjords of Norway we spent one year making our graduation film, a tragicomical surrealistic Stop Motion short. This is our Production Journal of 'But Milk Is Important'. Story, Design, Puppets, Sets & Props, Animation. Is our Music Composer and is making the music for the film. Helping out on Set building and Prop making. 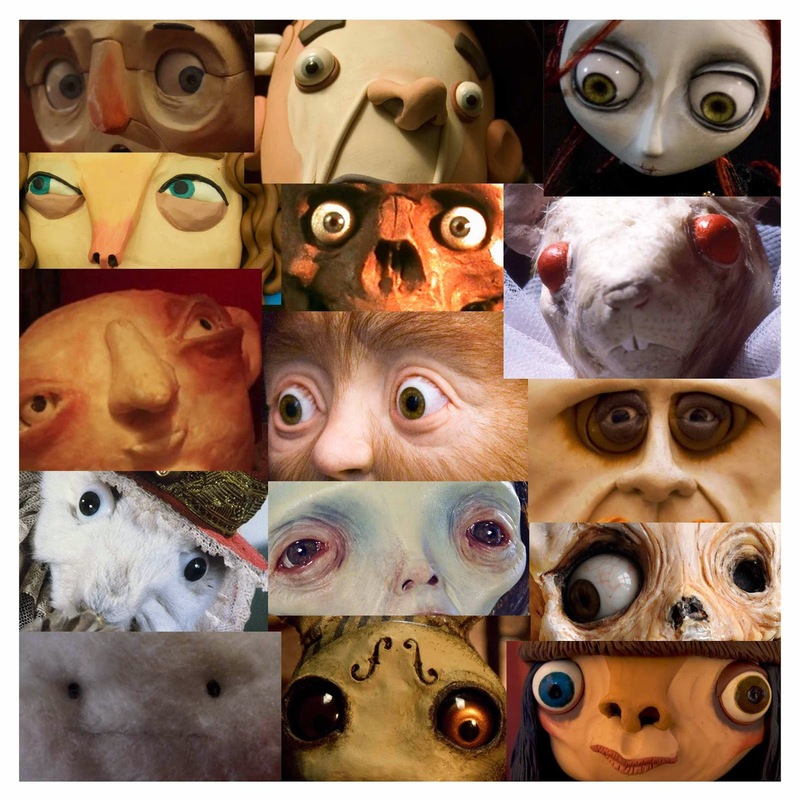 FRODE MUNKHAUGEN Was involved with ideas in the story, is helping us with puppets, sets and props, and also animated a few shots for the film. Is exchange student who helped with some test animation , sets & props, and also animated a few shots for the film.